If the Roman Catholic Church of Martin Luther’s day would have outright denied the concepts of scripture alone and faith alone, it did not deny the concept that glory belonged to God alone. They certainly wouldn’t have suggested that God shared His glory, and yet the reality of practiced theology revealed something a bit different. What we say we believe is always revealed in how we practice our faith, and Rome’s practice did not add up to this idea of Soli Deo Gloria. The doctrine of God’s Glory Alone reminds us that biblical Christianity is not ultimately about us. 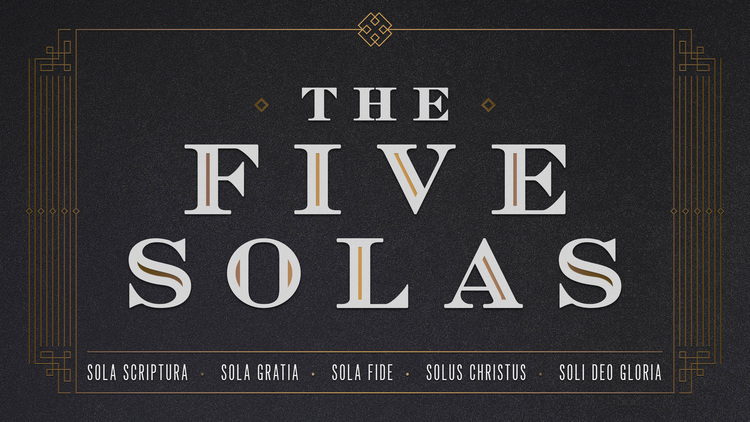 If the other four solas are true, then the drive logically to this point: God receives all the glory for salvation and the Christian life. We may again remind ourselves that Rome would not have denied this teaching. The church affirmed the glory of God. Even their teaching on meritorious good works, they would have said, were empowered by God’s grace. Yet, in many ways, it seemed to the Reformers, their practices and accompanying beliefs undermined this claim. We see this clearly in their teaching on meritorious good works, and the influence of saints. If salvation was not all of God, then God does not get all the glory! The appeal to saints actually makes Christ out to be more severe, less gracious, or less approachable than they. It makes Christ’s worth and work less because the work of saints is needed. The whole appeal undercuts the purpose of Christ’s work, and therefore undercuts His glory. The Reformers saw the flaw in this system and this theology. God was not the sole recipient of glory for our salvation because, after all, man had done his part. The church might have professed glory to God alone, but they were blind to the ways in which they undercut that statement. We too can be blind to our own stealing of God’s glory. We can claim Soli Deo Gloria, but believe in our hearts and act in our lives as if we play some special and important role in our justification. We can be misguided into thinking that we earn grace at some level, that we deserve favor by our activities or attitudes or beliefs. In fact we can make even the five solas all about us.We can distort grace – making it an earned state. We can distort faith – making it a work of our will. We can distort Scripture – making it all about our needs. We can distort Christ – making his death about magnifying our worth. Soli Deo Gloria is the reminder we need that all things point back to God alone!